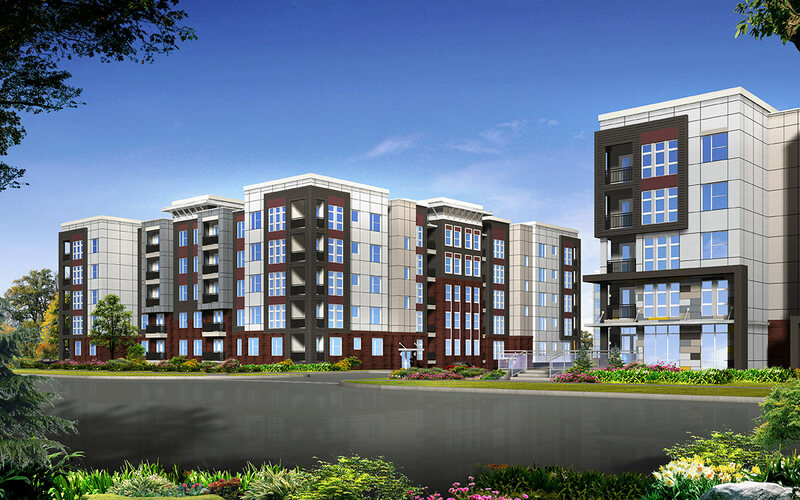 Cityscape Residential is building 300 apartments across from Distillery Commons. Lexington Road winding through the Irish Hill neighborhood is a sleepy street where motorists zip along at high speeds on their way to and from the core city. 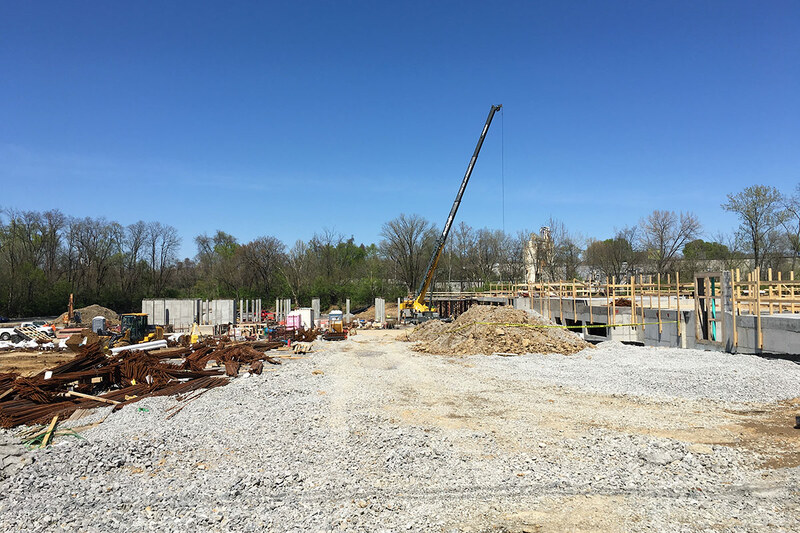 It’s lined with old bourbon warehouse, the woods along Beargrass Creek, a long brick wall defining Cave Hill Cemetery, a few houses, and newer suburban-style development. 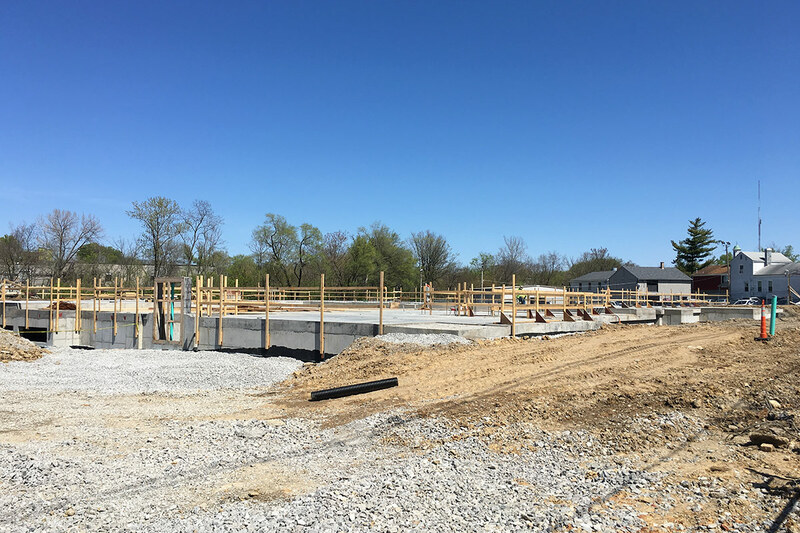 But Brian Evans, associate at Indianapolis-based Cityscape Residential, hopes a new apartment complex, the Axis, will breath some life into the corridor. The project, now well under construction at 1373 Lexington Road across from Distillery Commons and Headliners Music Hall, will bring 300 new apartments to the corridor—and potentially a little vibrancy. The Axis offices are located across the street in Distillery Commons, and Evans said many hope that residential boost will help fill that site’s office space. Another vacant warehouse on the corner of Payne Street was once considered for more apartments, but eventually fell through. Getting more people in the area might help another concept for that property take shape. While the Axis does not have retail space of its own, Evans said having people live in the area could help spur retail development elsewhere. He said there could be an opportunity for retail directly west of the Axis site where MSD will build one of its Combined Sewer Overflow Basins at the old River Metals site. “We’re trying to breathe some life into a part of town that’s been stagnant and stale,” Evans said. 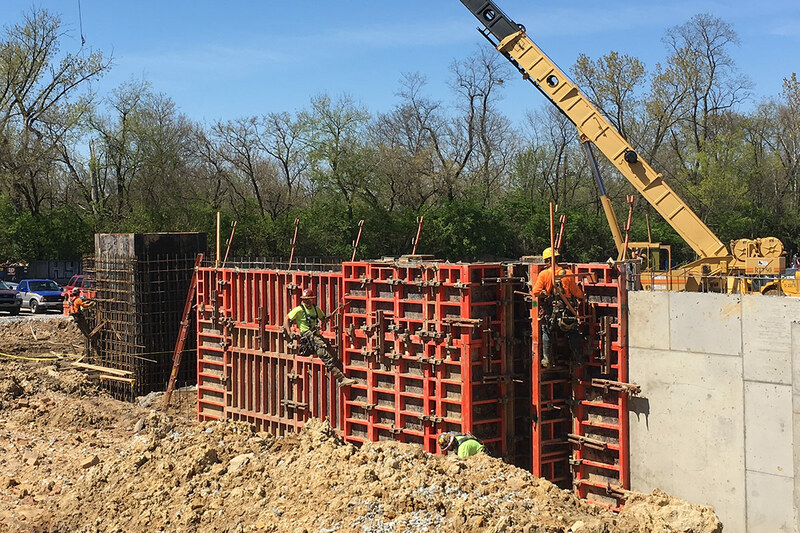 Construction crews are currently working on concrete formwork for those podiums, on which the residential floors will sit. Parking is planned underneath. And while the big flood might be a rare occurrence, the Axis is including green infrastructure like bioswales to help store rainwater runoff and minimize regular flooding of the creek. 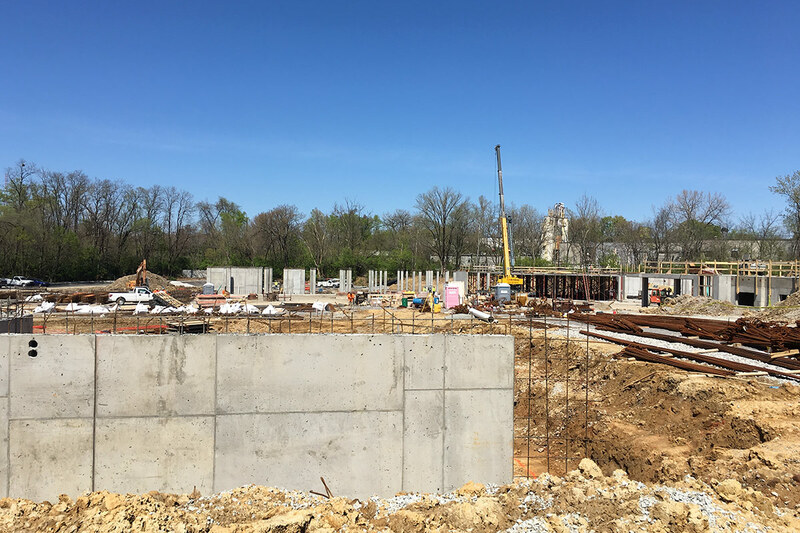 According to the Irish Hill Neighborhood Association, the entire Axis project is expected to be complete in June 2017, but parts of the project like the leasing office and clubhouse will open as soon as this September. The first residential units are expected to be available in December.